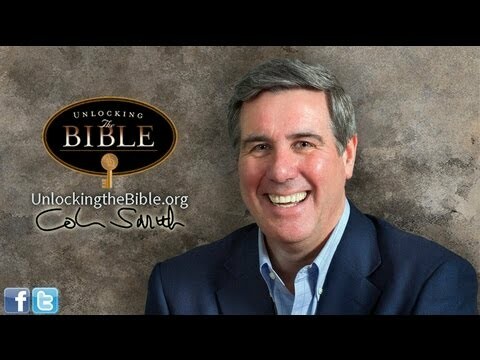 Colin Smith is senior pastor of The Orchard Evangelical Free Church, a multi-campus church located in the northwest suburbs of Chicago, and president of Unlocking the Bible. Born and raised in Edinburgh, Scotland, he trained at the London School of Theology where he earned the degrees of Bachelor of Theology and Master of Philosophy. Before coming to the States in 1996, Colin served as senior pastor of the Enfield Evangelical Free Church in London. Colin and his wife Karen reside in Arlington Heights, Ill., and have two married sons and five granddaughters. The ministry grew from a two-year journey of preaching and reading through the Bible at The Orchard Evangelical Free Church. Colin Smith, senior pastor at The Orchard, served as the preaching pastor throughout these two intentional years of reading through Scripture, from 2000-2002. The journey led to the publication of a series of four books entitled Unlocking the Bible Story, followed by 10 Keys for Unlocking the Bible, Unlock the Bible in 30 Days, 10 Keys to Unlock the Christian Life, and The 10 Greatest Struggles of Your Life. The 25-minute Daily Broadcast was launched in 1999 and has seen steady growth throughout the years. Currently, the radio program reaches more than 250,000 listeners. In addition, through the use of podcasts, our mobile app, and social media, the ministry impacts hundreds of thousands of people around the world with its gospel-centered content.